Steve Jobs stepped down as head of Apple last week. An era in technology has ended. Some might say that the dumbest thing Apple did was to force Jobs out in the late 1980’s. I disagree. If Jobs had not spent the next decade in the wilderness, he would not have discovered what made both Apple and himself great. We all see what Jobs has done after his second coming in the late 1990’s. Jobs was hailed as a savior and a breath of fresh air after the self-important reign of Doctor Gil Amelio. (Gil had a nasty habit of insisting on the doctor part often when it was not appropriate. Micho Kaku is a Ph. D., and everyone already knows he’s smart.) Since then, Apple has had the iMac, the MacBook Air, the iPod, the iPhone, the iPad, and iTunes. What Microsoft was to the 1990’s, Apple was to the 2000’s. But all that was made possible during Jobs’ exile. During that time, he founded Pixar, which rules the computer animation roost. Pixar practically invented modern animation. He also founded NeXt, a computer company that ran a slicker-than-Macintosh OS based on Free BSD, the original open-source Unix variant that predates Linux by years. It was at Pixar and NeXt that Jobs discovered he was lousy at business. Oh, Jobs is a brilliant businessman. Even rivals hang onto his every word at Apple events. But it’s the consumer where Jobs found his business nirvana. And if you’ve ever seen a NeXt machine, you know they were pretty impressive, light years ahead of Windows 95 and the various Mac systems out in the 90’s. This became OS X, the operating system that runs every Macintosh today. So Steve Jobs left Apple unsure of how to run a company and returned knowing better than anyone, certainly Bill Gates, or even better than Oracle’s Larry Ellison, how to connect with the consumer. Of course, this has made for some of the most obnoxious devotees of a product line ever. As an Apple shareholder, I’m pleased Jobs has cultivated his own cult. It funds my retirement. As a consumer of computer goods and services, I don’t see the justification in Apple users’ smugness. How do I deal with it? I crank up my iPod and drown them out. So what will happen to Apple now that Jobs is stepping away? Jobs spent the last fourteen years recreating the company in his own image. Those who run the company day to day already know what goes into the Apple experience, what to look for when designing the next device, and how that device or service should look to the end user. Microsoft, whose product line has improved over the years, needs to find someone to similarly carry on after Gates completely steps aside. Steve Ballmer ain’t cutting it. Eventually, someone will need to reinvent Apple, but that’s not likely to happen in the near future. Instead of resting on their laurels, Apple learned from Jobs how to keep going. Paul D. Brazill’s been a fixture in the crime fiction community for a while now. He recently released his werewolf thriller Drunk on the Moon, then took the extra step of handing the story off to other writers. He also is the brains behind the anthology Brit Grit and is a founding member of the Hardboiled Collective on Amazon. He stops by to tell us what he’s up to and why. Tell us about Drunk On the Moon and how that came about. When Dark Valentine Magazine set up over a year ago, they said they were intersted in cross genre stories. I’d wanted to write a noir/werewolf story named after the Tom Waits song, Drunk On The Moon,so this seemed the perfect place to send it. I wrote three stories in all and combined them to make Drunk On The Moon book one. I thought I had a good idea for a series but I didn’t halve the chops to write it all myself. I liked what Lee Goldberg was doing with the Dead Man books so I thought about asking other writers to take the baton. Trestle Press asked me to do something for them and I knew that they were fast movers, so it semed like the right place and the right time. You’ve also done Brit Grit, an edgy noir anthology. How about the skinny on that? The stories in Brit Grit-which is like a mini anthology- are what I consider more ME than DOTM. The slices of the absurd side of life,/observational stuff with a twist. Tell me a little more about Trestle Press. Their Smashwords page says they do editing, publishing, social media building and so on. Are they a publisher? A collaborator? A services outfit? Inquiring minds wanna know. I knew of Trestle Press through their work with B R Stateham and other writers. They asked me for something and I sent the stuff to them. I’m not a business type person so you’d be better asking them. You’re an Englishman living in Poland. What brought you there, and what’s it like writing about home from a foreign land? I did a TEFL course about 10 years ago- in Madrid- and got my first teaching job in Poland. I’ve stayed there since then, though I’ve lived in a few towns. I’m sure being in self imposed exile gives me a good perspective on things that happened when I’m younger though I am pretty discombobulated from modern Britain. You’ve released DOTM in three parts. Was that to give the readers smaller chunks or did you find the trilogy format natural for this story? Really, I just wrote part one. DOTM had become its own entity.The writers that I’ve asked to contrubute have been pretty on the ball. 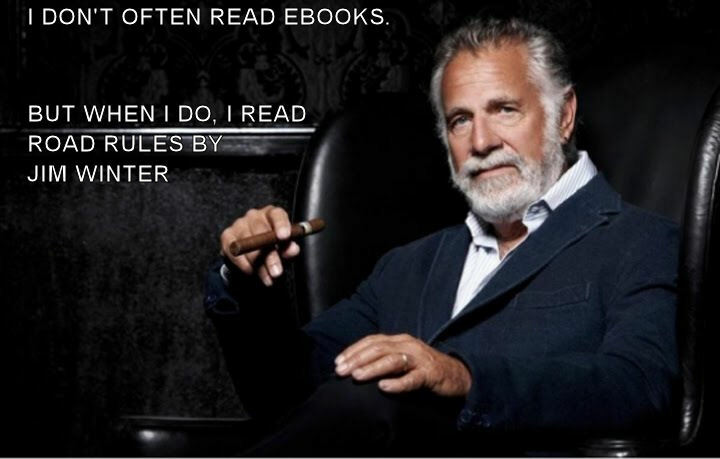 The bite sized books certainly seem to suit ereaders. Julia Madelaine, Allan Leverone, BR Stateham & Richard Godwin have all contributed cracking, distinctive stories that have greatly improved on mine. My Town Monday Cincinnati – Repost: Boomsday! This Sunday marks the return of Cincinnati’s loudest end-of-summer tradition: The WEBN fireworks. Here now is a repost of last year’s MTM post on the subject. Every Labor Day weekend, for Riverfest, half a million people crowd the banks of the Ohio River between the Big Mac Bridge (so-called because it looks like free advertising for McDonald’s with its yellow arches) and the Roebling Suspension Bridge. Boats begin showing up a week ahead of time to get the choice spots. You have to be at Sawyer Point in Ohio or Newport on the Levee in Kentucky by eight or nine that Sunday morning to get a good seat. If you have an office on Fourth Street, over in River Center in Covington, or live in One Lytle Place, next to US Bank Arena, you supplant the city’s richest people for one day as the most elite people in Cincinnati. Why? Because every Sunday before Labor Day, local rock station WEBN blows up the Ohio River. Starting in 1977, WEBN and Rozzi’s Famous Fireworks, who also blow up the river in Louisville and do the fireworks for the Reds at Great American Ball Park, put on one of the largest fireworks shows in the world, all set to music. The original show was to be a one-off event celebrating WEBN’s tenth anniversary. The response was so huge that they’ve repeated it every single year. Initially, the music sync did not work, so the fireworks were just that, fireworks, with a loud music played on the radio. Now? One year, I watched it on television (because anything between Kentucky’s Cut in the Hill and the Norwood Lateral in Ohio is going to be gridlocked for five hours after the show). One section was set to the keyboard bridge from Ozzy Osbourne’s “No More Tears.” Red blossoms exploded in perfect time to the piano while white flares went off for each guitar note. Perfectly synched. After 33 years, they have this down to a science. Will I go down this year? I have to work across the river on Sunday this year, and so will have to go home through Mt. Washington as downtown is shut down that afternoon. Not even I-71/75 is open within a few hours of the show. So I will watch it at home. They now show it in HD on WLWT, Channel 5. Someday, I will book a room at a downtown hotel, probably on The Banks when it opens, so Nita and I can watch from the comfort of our hotel room. That will be a party. JD Rhoades, writer, political columnist, lawyer, and all around good guy, was kind enough to write the foreword for the new edition of Road Rules. You’ll get to see first hand what he’s talking about in four more days. For now, here’s what Dusty had to say about the book. A lot of thrillers these days feature various avatars of the generic hero I’ve dubbed Bolt Studly– the mavericky, two-fisted, fearless ex-Navy Seal/CIA Agent whose only flaw is that he rushes headlong into the action, fired up on patriotism and loaded down with a whole catalogue of lovingly described weapons and tac gear as he goes about battling evil Rooskies/Mooslims/Latino Drug Lords trying to destroy the US and/or the world. Then there are the multitude of crime thrillers featuring the hero I call the Brooding Knight. Soulful, tarnished but still inherently noble. the Brooding Knight (usually a cop or PI) cruises the mean streets of the city he loves, solving crimes, philosophizing, and protecting damsels in distress while listening to jazz, or blues, or something cooler than talk radio or the latest Ke$ha recording. Occasionally, the BK does all this in the company of some genial psychopath who’s taken an improbable liking to him and who can be counted upon to do whatever wetwork that needs to be done but which might make said Hero unlikable if he had to do it. This is not that kind of book, either. Not, I should hasten to say, that there’s anything wrong with those sorts of books. I actually really like those. Well, some of them. Hell, I’ve even written similar stuff. But every so often, I want to read about bad people doing bad things, and doing so with the kind of dark, twisted humor that shows us, not the banality of evil, but the absurdity of it. Jim Winter gives us all that, and more, in ROAD RULES. There are some unforgettably and hilariously venal people here, all out to make a buck off a holy relic stolen from the Catholic Church. They chase each other up and down the Interstate. They collude, they collide, they lie and backstab one another, and if goodness prevails, it’s because of the bad guys getting tangled up in their own and each other’s schemes and falling on their asses, not the heroics of Bolt Studly or the Brooding Knight. In short, it’s more like the way evil gets taken down in real life. But funnier. Dune Messiah is the middle act of the original Dune trilogy, and possibly the most accessible of the three books. A little recap. Dune told the story of Paul Atreides, whose family has been given the spice-rich desert planet of Arrakis, colloquially known as Dune. It’s 10,000 years into the future. Computers and robots have long been banned, and interstellar travel is only possible by use of the spice, a by-product of the giant sandworms. The spice allows space pilots to guide space ships between stars at faster than light speeds, extends life spans, and grants the power of prescience. The Harkonnen family, which once held Arrakis, wants it back. They reconquer Dune, kill Paul’s father, Duke Leto, and drive the family into the desert among the Fremen. Paul lives among this desert tribe and becomes incredibly prescient. The Fremen declare him their messiah and dub him Muad ‘Dib. He rallies the Fremen to overthrow the Harkonnens and even the very empire itself. Got all that? Good. This is not that book. This is Dune Messiah. It’s ten years after Paul’s jihad has swept the galaxy, and the powers that be are all chaffing under the yoke of the Fremen’s prophet. Paul does not really care for his role as a god. His sister, Alia, however, relishes it, though she will do anything to defend her brother. Meanwhile, the knives are coming out. The Bene Gesserit – an ancient sisterhood embarked on a centuries-long genetic engineering project, the Bene Tlielax – shape shifters, and the Spacing Guild are conspiring to bring down Paul. Their weapon of choice? The resurrected Duncan Idaho, killed in the first book, in the form of a “ghola” named Hayt. Hayt is there to prey on Paul’s self-doubt and guilt over radically changing the Fremen’s way of life and slaughtering billions in the name of his godhead. All the while, Paul is attempting to produce an heir, but not by his wife, Irulan. No, Irulan has the worst kind of blood, that of the dethroned emperor. Paul wants his heir to be born of his concubine and true lover, the Fremen woman Chani. That’s a lot to keep track of. And when I first read the trilogy in high school, it made my head swim. But Dune holds up quite well, mainly because its setting makes projections of technology in the far future irrelevant. The book recaps Dune without postponing the story for a quick history lesson. The Dune novels are already based on a complex premise, and Dune Messiah amps up the questions of religion and politics and what happens to the founding figure of a faith as it grows out of his control. It’s a worthy successor to the original Dune, but definitely not a book for those uninitiated in science fiction. Biographer Michael Korda compares Ulysses S. Grant as president to another highly esteemed general who also became president 76 years later, Dwight Eisenhower. The parallels are compelling. Grant and Eisenhower managed huge egos and forced armies stuck in the mindsets of earlier wars to move into the modern era. Grant, in particular, thought little of the military hero of the day, Napoleon Bonaparte. Eisenshower knew that the radical changes brought on by World War I were already out of date by the time Hitler invaded Poland in 1939. But whereas Eisenhower had a somewhat successful presidency, guiding the nation through the earliest days of the Cold War and keeping several arrogant American generals’ egos in check, Grant was good at only one thing: Soldiering. He was horrible student at West Point. He was hapless at business, almost pathologically incapable of closing a business deal. But he knew soldiering. And he understood that the old ways of conducting war, almost a gentlemen’s agreement on forces and how to attack, would not end the Civil War in any reasonable amount of time. His solution was to throw as many troops at an enemy as he could with the sole intent of destroying them, accepting only unconditional surrender. So, the man who led the Union to victory was also the perfect man to run the country during Reconstruction. Right? Um… Not really. Both Grant and Andrew Johnson had the unenviable task of succeeding Abraham Lincoln, a man whose personal charm and shrewd political mind guided America through what is still its darkest hour. Johnson was intractable and combative, which put him on a collision course with the Republican Party’s radical wing. Grant, on the other hand, was wholly unsuited for civilian leadership. At a time when the President of the United States was expected to speak out on the issues of the day, namely black suffrage and Southern reintegration into the Union, Grant held his tongue. Many took this silence to mean that Grant was simply pondering an issue deeply. In actuality, he was confused. The problem stemmed from Grant’s mindset. A general gives orders and can reasonably expect them to be carried out. The president needs to build bridges and network extensively. Like Andrew Johnson, Grant lacked this ability. He was also too trusting of his advisers. Grant’s tenure in officer was the most scandal-ridden to date, not to be outdone until Warren Harding in the 1920’s. But was Grant’s presidency a complete failure? Probably not. Think of the presidents of the past 100 years that are held in high esteem today. Wilson (thought his racism has tarnished his reputation), FDR, Kennedy, Reagan, and to a lesser extent, Clinton, all wildly popular during their terms in office. Then there are those whose legacy grew after their time in office: Truman, Eisenhower, and the older George Bush, mainly because they instituted unpopular policies that did not payoff for the average person until after they left office. But that is only seven presidents out of 13 since 1911. If you look at the previous 100 years, you have Jackson, Lincoln, and Roosevelt, and that’s about it. It’s hard to really consider the first five presidents as they were all Founding Fathers, who still viewed the republic as an experiment. Indeed, Jefferson and Adams remarked in their long correspondence in their latter years that it would surprise them if America survived beyond 1876, but that the successor states would be better off for that 100 years they expected the Union to exist. So what does this say about Grant? Well, Grant was as weak a president as his predecessor, Andrew Johnson, but he had something Johnson could never achieve standing in Lincoln’s shadow: stature. This is the man who not only brought the Civil War to a close on the battlefield, but he handed Robert E. Lee back his sword, a powerful signal for the reconciliation the nation now needed. Johnson’s fiery revenge rhetoric might have jibed with the Radical Republicans’ revenge platform, but it clashed wildly with the eventual modified policy based on Lincoln’s plans for reconstruction. Grant, never the politician, just kept his mouth shut, letting his stature become a rallying point for both North and South. One might say the most important act of domestic policy in Grant’s Administration was his handling of Lee’s surrender at Appomattox four years before he took the oath. But Korda’s comparison to Eisenhower is not completely hyperbole. Eisenhower showed a similar reluctance to speak out in the face of Joseph McCarthy’s borderline treasonous witch hunt during the fifties Red Scare. What likely kept the nation from devolving into the same paranoia that had turned Germany and the Soviet Union into police states was the quiet man at the helm who had proven himself on the battlefield. So it was with Grant. But where Grant and Eisenhower parallel the most is in foreign policy. For Ike, the big threat was the Soviet Union. Recognizing that Kruschev was no Stalin – the Soviets in fact no longer had a stomach for Stalin or his ilk – Eisenhower walked a tightrope to keep the Cold War just that: cold. Grant, on the other hand, recognized that the US’s best friend was Britain. This had been true since after the War of 1812, when the two nations began having a grudging respect for each other and started aligning their agendas. By Grant’s era, the Revolution was something grandpa experienced as a kid. Victoria sat on the throne, and America no longer resembled the 13 rebellious provinces on the East Coast. Grant permanently ended America’s notions of annexing Canada, now a nation in its own right. Also, beginning on Grant’s watch, the armed forces began to modernize. Yes, those Union and ex-Confederate soldiers out on the plains battling the Indians didn’t look all that different from those forces he commanded under Lincoln, but the Navy began to modernize. Ocean-going fully steam-powered warships began to appear, with sails going the way of the buggy whip, which eventually would put the United States on equal footing with Britain, France, and Germany, the three major European powers. Still, chaos reigned in Grant’s cabinet, and his indecisiveness out of uniform made Grant less than a good president. But it would be another quarter century before anyone would approach Lincoln’s skill in the White House.